An eye catching 18k yellow gold engagement ring is set with an exquisite bezel solitaire ruby. 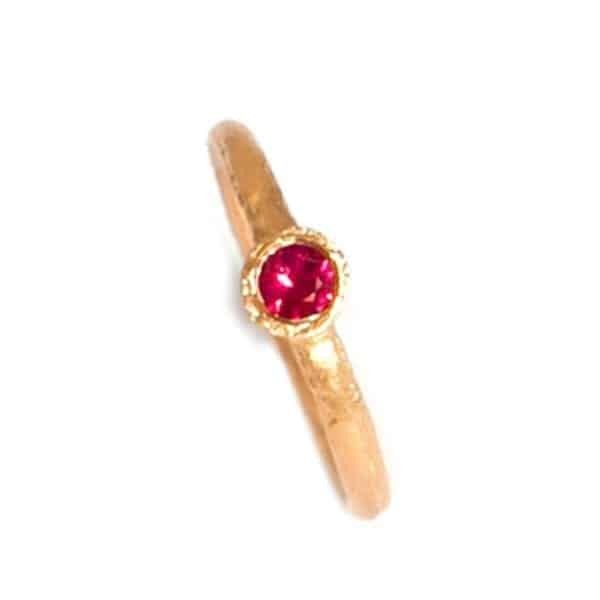 We thought you would like to know has been eyeing up our 9k Etched Yellow Gold Ruby Ring for some time now and has requested we bring it your attention. 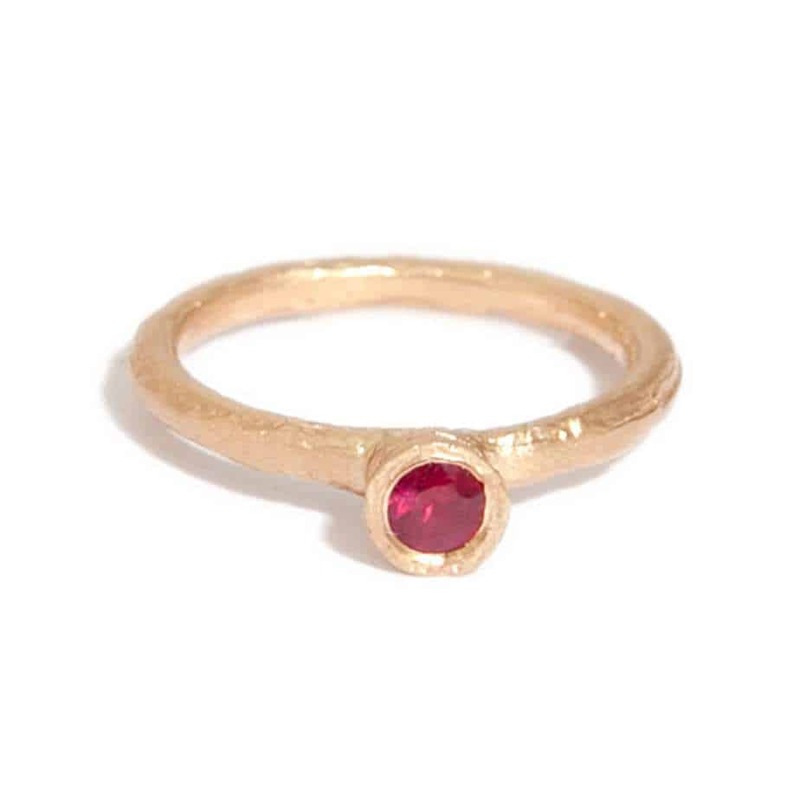 What's your question about 9k Etched Yellow Gold Ruby Ring? This beautiful organic 18k yellow gold ring is set with an exquisite bezel solitaire ruby (3.5mm). With its soft etched finish, raised setting and eye catching ruby, it is a perfect choice for those who prefer less traditional designs. Ring Size: J1/2. Band Width: 2mm. Band Profile: Round. 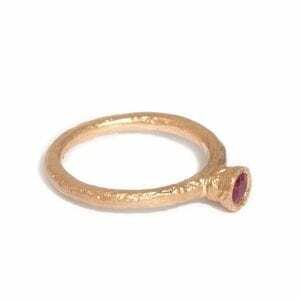 Note: Available in different ring sizes, gemstones, metals.